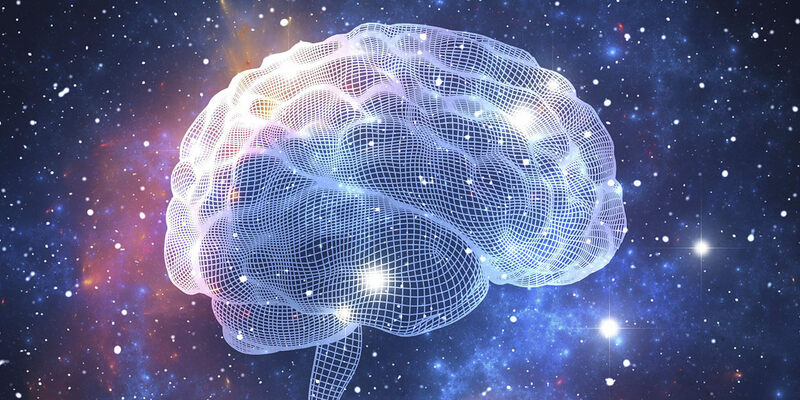 The human brain is often called science’s final frontier. Experts are still trying to fully uncover how our grey matter – a dense network of some 86 billion nerve cells – works to produce the most human of abilities – feelings, memory and consciousness. Advanced imaging methods, such as the MRI scan (above), refute the myth that there is one small active region of the brain. But one point not up for debate among scientists is the claim that we “only use 10 percent of our brains.” “It’s a misunderstanding of how the human brain, or any mammalian brain for that matter, works,” says Tarek Samad, Head of Neurodegeneration Research at Pfizer’s Kendall Square Reseach site. In fact, depending on the activity, we employ 100 percent of our brains most of the time. To get an idea of how active our minds are, consider this fact: the human brain accounts for about two to three percent of the body’s total weight but uses at least 20 percent of the body’s energy, says Samad. Nor is the brain a static organ, he adds. We can learn and store new information, because of the brain’s “plasticity,” its ability to change neural pathways. The myth dates as far back as the early 1900s, when prominent American psychologist William James argued with great optimism in his book “The Energies of Men,” that “We are making use of only a small part of our possible mental and physical resources.” Since then, self-help gurus and Hollywood films have taken the idea and run with it: Who wouldn’t want to tap into their 90 percent of unused brainpower? Advances in brain imaging techniques – from functional MRIs to PET scans – provide evidence that there is not one dominant active area of the brain that does all the work, while the rest remains dormant. Brain imaging shows that our grey matter is made up of specialized regions that control everything from language and emotion to spatial perception and senses. And performing even the simplest of tasks, such as drinking a glass of water, requires active coordination within various regions of the brain. While not all neurons in the brain are actively “firing” at all times, research suggests that even the more “silent” neurons in the brain may play a necessary role. “The brain is a highly efficient organ with complex circuity, naturally making it impossible for 90 percent of it to be sitting idle,” says Samad.